Our beautiful city is well-known for its mix of classic Southern charm and vibrant modern culture. When you picture Charleston, do you get excited about its rich history and stunning architecture? Immerse yourself in the experience by staying in one of our incredible historic homes or carriage houses—your home base for walking tours, museum explorations and gorgeous views. Or maybe you’re most excited about Charleston’s innovative cuisine and high-energy nightlife. Put yourself right in the action in a two-bedroom luxury suite on King Street, where you can enjoy the city’s most prestigious shopping and dining right outside your door. For everything in between, we offer fully furnished “single” houses, condos, apartments and more! book your next trip TO Charleston NOW! View all of the options we have to offer and find your ideal location! Are you visiting Charleston as part of a family trip? Ready to taste the cuisine of the Lowcountry? Planning a bachelor or bachelorette party and want to experience Charleston nightlife? 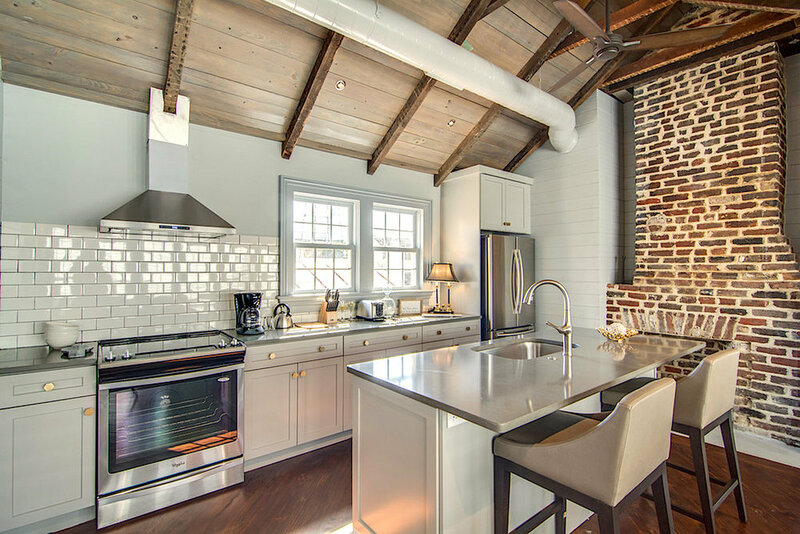 Are you looking for a furnished monthly rental in Charleston, SC or the surrounding area? Discover all of the options we have available for you. Find out about our properties features, amenities, and floor plans. 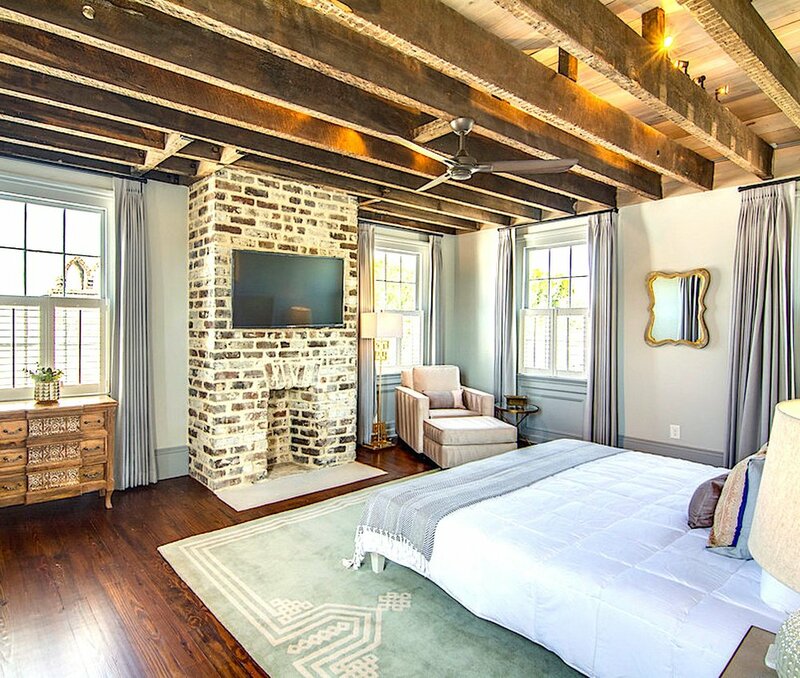 All of our furnished monthly rentals are sure to help make your stay in Charleston, South Carolina memorable. Charleston’s newest venue on King Street! This event space offers a rooftop overlooking King Street along with an ivy covered garden beneath. 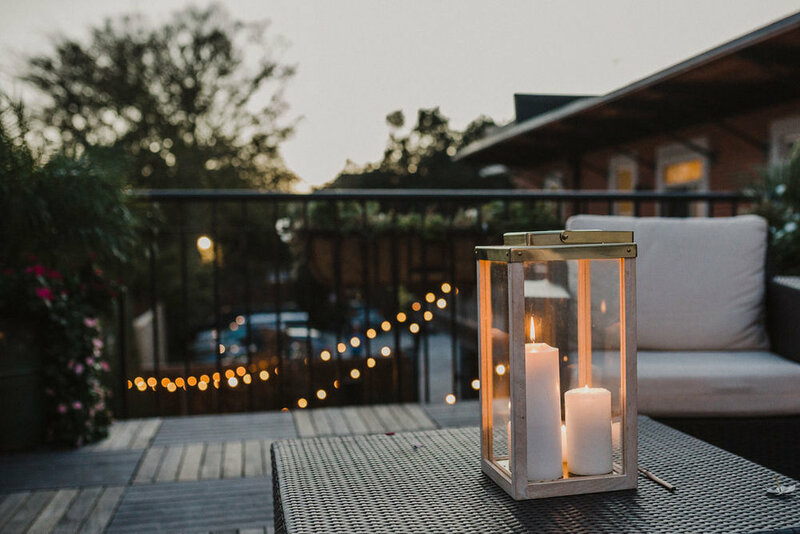 The old fashioned lanterns softly glow as the sun sets and lends itself to be the perfect spot to capture the romance that surrounds this space. On-site there are also 6 two-bedroom apartments available to rent separately or as a compound. For more information please contact Jamie via email to learn more about this upcoming venue. Now accepting 2019 & 2020 reservations!